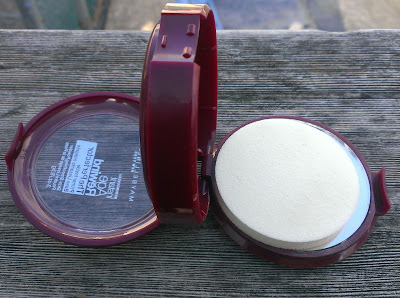 Maybelline's Instant Age Rewind The Perfector Skin Smoothing Powder caught my eye because it contains Shea butter and jojoba oil, so it seemed like it could be a good fit for the dry patches on my face. However, it is almost somewhat gimmicky -- it supposedly has primer built-in. 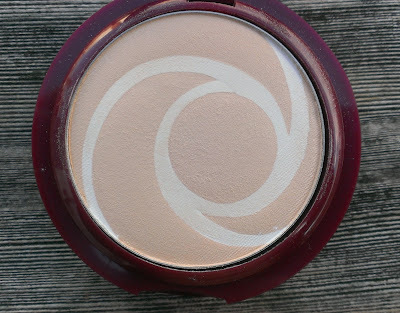 The compact features a traditional skin tone powder with white swirled section throughout that I'm assuming are the primer. While the compact features a clear plastic lid that gives you a glimpse of the powder, it's is one of the two compartment style deals -- the bottom opens up and you have a mirror and a spot to hold the sponge. The powder itself is extremely lightweight and has a really nice texture -- it doesn't feel dry at all, if that makes sense. When applied with a fluffy powder brush, it doesn't accentuate my flaky patches and just goes on very smoothly. I also like the finish -- it's not really dewy, but there's a slight satin-y look to it so you don't have to worry about dry skin looking flat or dull. It doesn't offer much in the way of coverage, so if you're looking for a powder to bump up the look of your foundation, this isn't it. The fair shade is a nice match for skin, though. The coverage issues is why the whole gimmick of the primer inside confuses me. 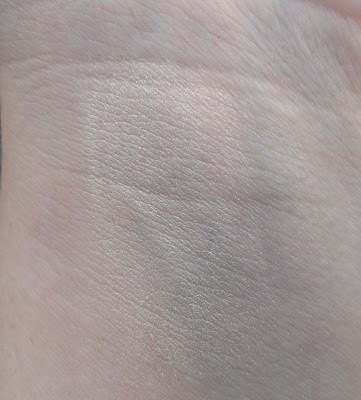 Maybelline certainly can't think people will use this powder as a foundation on all its own -- it's way too sheer for that -- so why does it need primer built in? If you're applying this over your foundation, you've already applied a primer (if you're inclined to wear it) so why would you need more on top of it? Maybelline's marketing says something about the powder's primer smoothing the skin, and as I said, the finish is really quite lovely but my primer and foundation take care of my skin's smoothing needs. I don't really get it. But don't let that stop you from trying this powder. 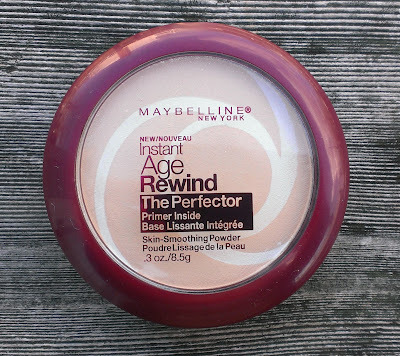 If you have normal-to-dry skin or just prefer a lightweight, natural looking powder, the Maybelline Instant Age Rewind The Perfector Powder is a great option. It's available in 6 shades - Fair, Light, Light/Medium, Medium, Medium/Deep, and Deep. You get 8.5 grams of product, and I paid about $10 for it at my local CVS (I did get it BOGO-half off, with the Instant Age Rewind Eraser Dark Spot Concealer so it was an even better deal). 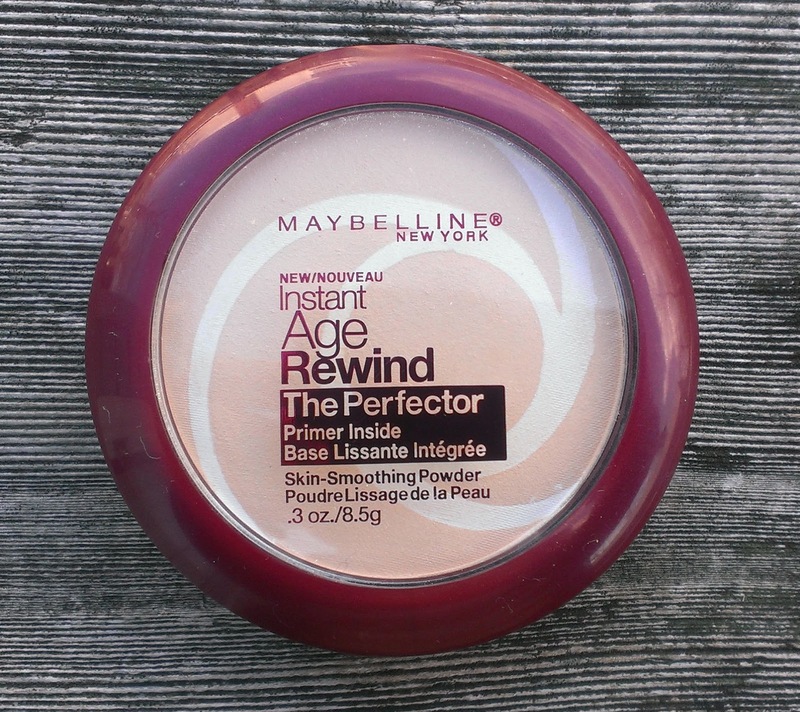 Have you tried the Maybelline Instant Age Rewind The Perfector Powder? What's your favorite powder when your skin is dry or flaky? I bought this powder because I wanted something that would make my skin look smooth and not too powdery. Although it looks nice on my face, since I have combo/oily skin it makes the oil shine through and I don't like that. Yeah, it certainly isn't oil-asborbing or mattifying. That's probably why it's been a good fit for my normal to dry skin. In the summer, though, my t-zone can get oily so I don't think I'll be using it then. it was a fail for me, too. for a FINISHING powder, why a primer??? so I tried it under my mineral makeup to see if the primer would help keep things in place longer. nope. It's a total gimmick and I don't even understand the point of the primer. It's a pretty good finishing powder for dry skin -- market it as that!